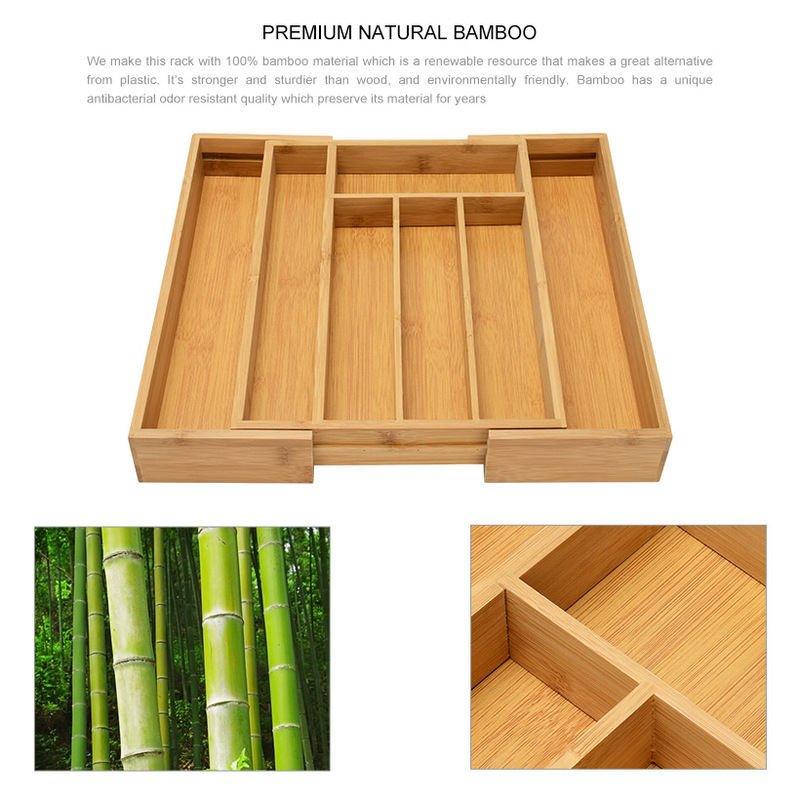 Control the clutter and keep items neatly contained with the Bamboo Expandable Drawer Organizer. 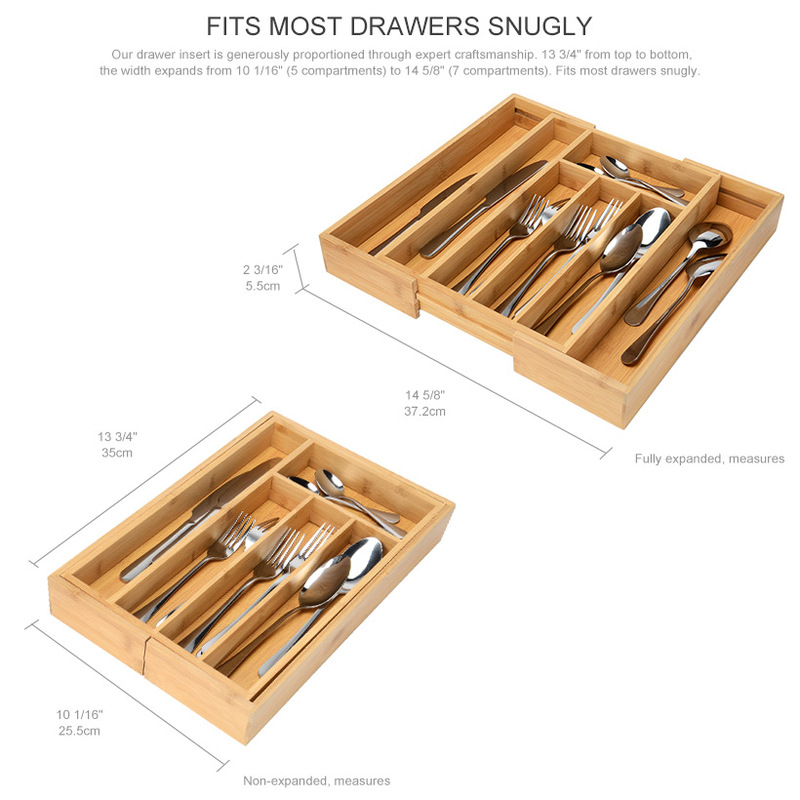 Made of beautiful, durable bamboo, the drawer organizer provides a charming, rustic appearance, and it makes a great alternative to plastic organizers or to having stored items rolling around loose in the drawer. 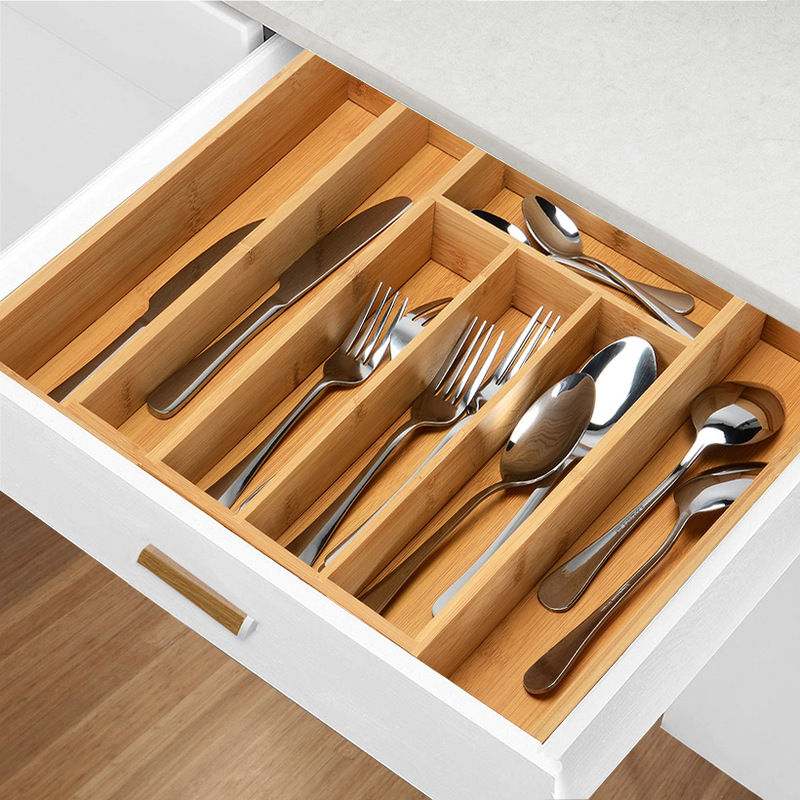 NO MEASURING NEEDED | SPECIALLY CRAFTED TO FIT ANYWHERE: Our drawer insert is generously proportioned through expert craftsmanship. 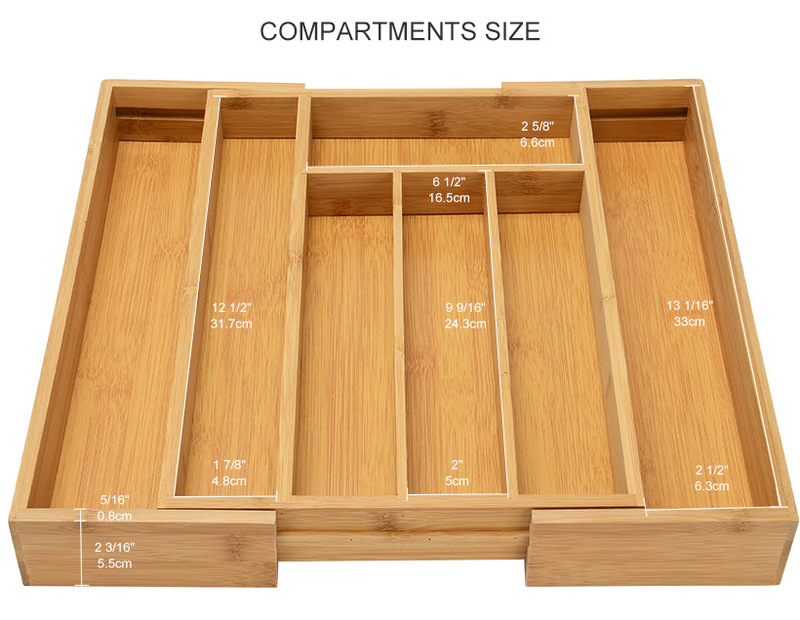 13 3/4′ from top to bottom, the width expands from 10 1/16′ (5 compartments) to 14 5/8′ (7 compartments). Fits most drawers snugly. EASY TO CLEAN: It cleans up easily with soap and water, and is harvested using sustainable methods.